Faculty and staff will receive instructions on Nov. 7. As previously communicated over the past several months, Webster University is transitioning to Office 365. The first phase, for those who did not elect for early opt-in, starts Nov. 7, which consists of Enhanced Password Services, 50GB of OneDrive Storage, and Office Pro Plus. On Nov. 7, all current faculty and staff will be notified to complete the Office 365 registration process. Faculty and staff: You will receive an email on that morning informing you how to set security questions and change your password (instructions can be found here) to register your account so that you can reset your password by yourself in the future. Information Technology recommends you use a passphrase, which will be easier to remember and provide a higher level of security. The passphrase should be a minimum of 12 characters. You will use this new password/passphrase to access a variety of other Webster systems (view a complete list). For additional information on the password guidelines, please reference the official University password policy. 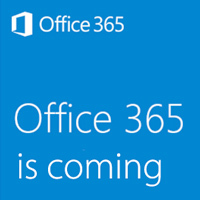 By completing this registration process, you will greatly facilitate the future phases of the Office 365 rollout.